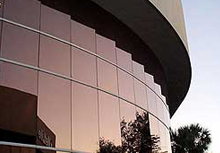 Boorom Facility Solutions has been providing facility management for nearly 25 years. Our staff will operate and maintain your facility central plant, and provide the latest strategies for efficient and reliable heating and cooling. Restructured operations and central controls at Robert Hartley Houses. Operational changes and equipment improvement reduce operations costs at Greenhaven Correctional Facility by 26%. A decade of operational support and consulting help improve patient comfort and reduce energy use.